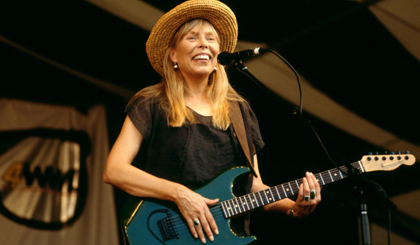 JoniMitchell.com receives no financial support from Joni, her management, or her record company. It is fully funded by Les Irvin and the community of fans across the globe, just like you. Your contribution insures that this website will thrive and continue to remain completely free and open to all. $9.23 - one day of hosting. $64.65 - one week of hosting. $277.00 - one month of hosting.